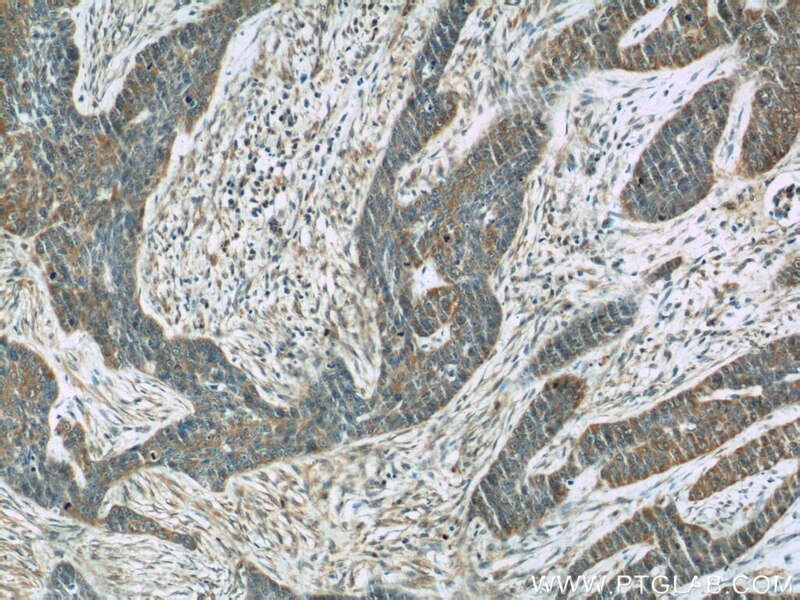 Immunohistochemical analysis of paraffin-embedded human oesophagus cancer tissue slide using 60247-1-Ig( Cytokeratin 15 antibody at dilution of 1:500 (under 10x lens). 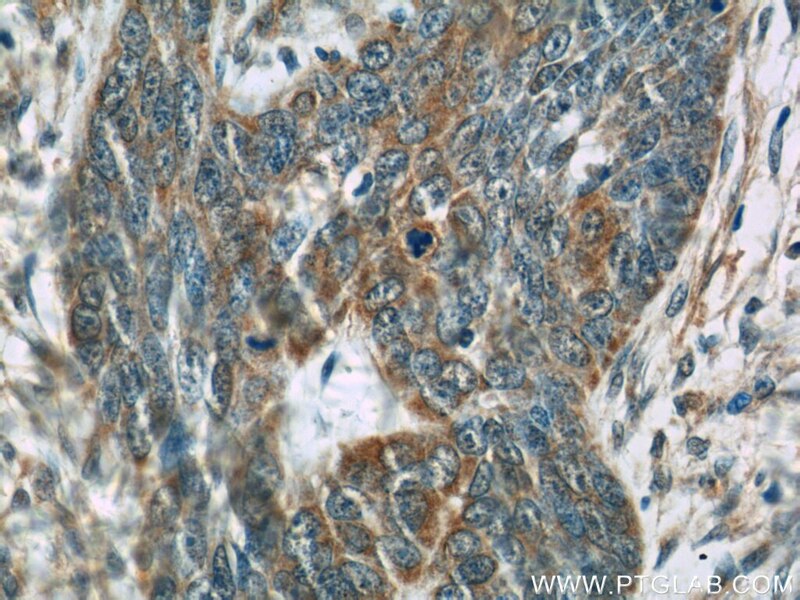 Immunohistochemical analysis of paraffin-embedded human oesophagus cancer tissue slide using 60247-1-Ig( Cytokeratin 15 antibody at dilution of 1:500 (under 40x lens). Keratins are a large family of proteins that form the intermediate filament cytoskeleton of epithelial cells. 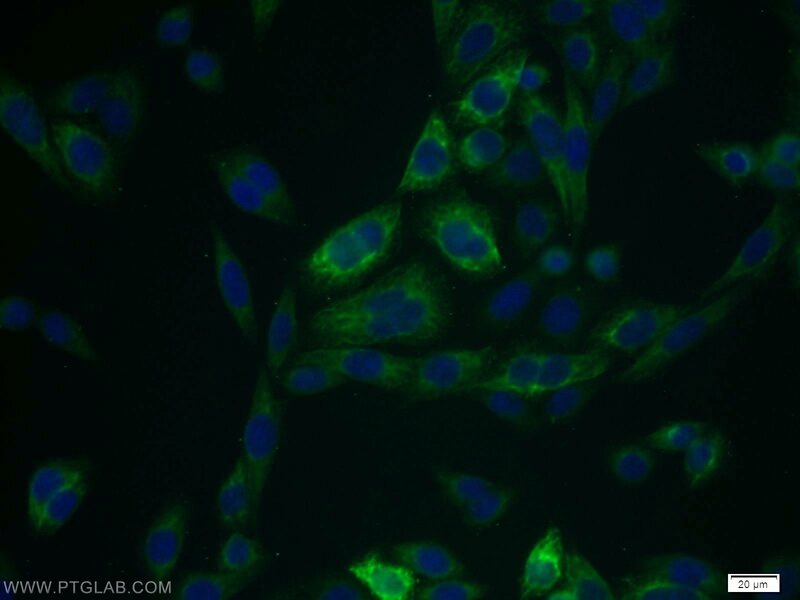 Keratin expression is highly regulated, tissue specific, and varies according to cell-state. Type I keratins consist of acidic, low molecular weight proteins with MW ranging from 40 kDa (KRT19) to 64 kDa (KRT9). 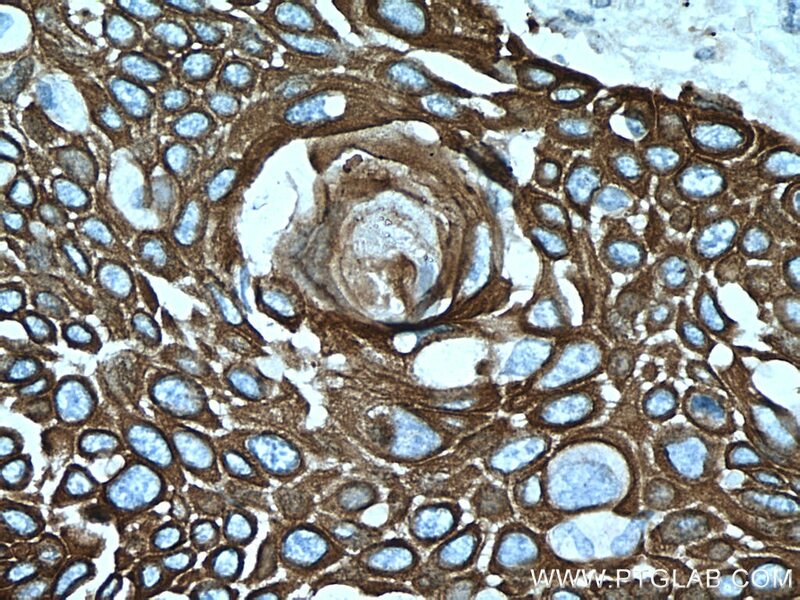 Type 2 keratins consist of basic or neutral, high molecular weight proteins with MW from 52 kDa (KRT8) to 67 kDa (KRT18). 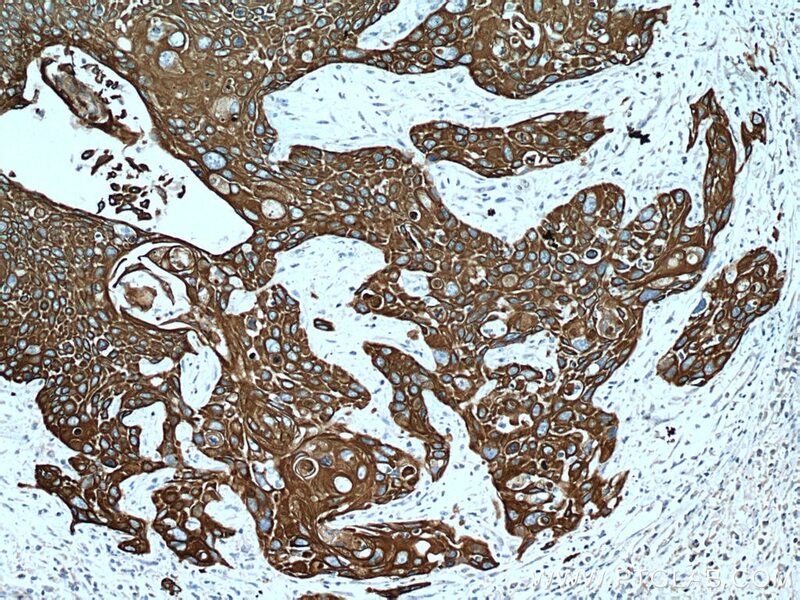 Keratin 15 is a type I cytokeratin. It is found in some progenitor basal cells within complex epithelia.